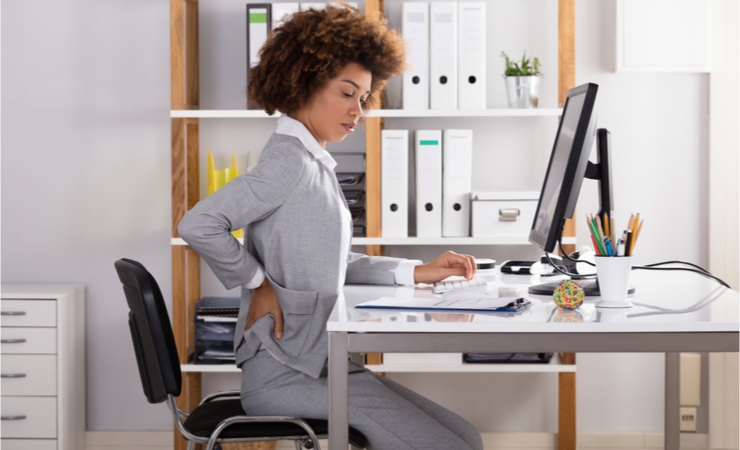 Is Your Workplace Posture Getting You Down? In this informative and interactive presentation, Dr Ken Adams, DC, and Dr Graham Jenkins, DC, will share with you the 3 postures that are the most hazardous to our health. More and more workplaces are dominated by technology. But what do we do when the technology we use is damaging our health? In this informative and interactive presentation, Dr. Jenkins and Dr. Adams will share with you the 3 postures that are the most hazardous to our health. Do I need a standing desk? How do I deal with sitting at my desk for hours? What can I do to help my posture when I drive? What can I do to help my feet, ankles, hips and lower back on concrete floors? He will show you several exercises and stretches that you can do to help avoid (or alleviate) neck pain or headaches and how you can avoid back pain from your work environment or technology. Dr. Jenkins studied at the University of Western Ontario in London Ontario for his biology degree. His field of study covered genetics, biochemistry and advanced cellular biology. Not the “normal” route to a doctor of Chiropractic. He then went on to study at Canadian Memorial Chiropractic in Toronto, received the Erica J Langer award for research excellence and then went on to study a further 3 years of Sports Chiropractic. Even after his formal education was completed he continues to work in practical clinical research to promote the benefits of chiropractic for all. After practicing for 14 years Dr. Jenkins sold his private practice in Ontario and moved to the beautiful Okanagan. From 2012 to 2017 Dr. Jenkins worked in conjunction with Carleton University (Ottawa, Ontario) advancing the development of patient/doctor communication. Currently Dr. Jenkins is actively involved with research in spinal and neurological correction through a US based research team, Chiropractic BioPhysics NonProfit. He is working to partner this US based research with the UBCO Human Kinetics Department beginning early 2019. Dr. Jenkins opened Lighthouse Chiropractic in the Landmark District of Kelowna in 2009 and expanded to welcome massage therapy and naturopathic medicine in 2018. His goal at Lighthouse is to provide effective, scientific and research based care to the Okanagan. His personal mission is to educate and inspire as many families as possible to live full, active and long lives. He is the creator of the 100+Living Plan and teaches the principles of how healthy neurology leads to longevity and superior health. In addition to coaching and mentoring chiropractors, massage therapist and other health professionals, he speaks to corporate groups, municipalities and non profits on how to deal effectively with stress and maximize life and health.